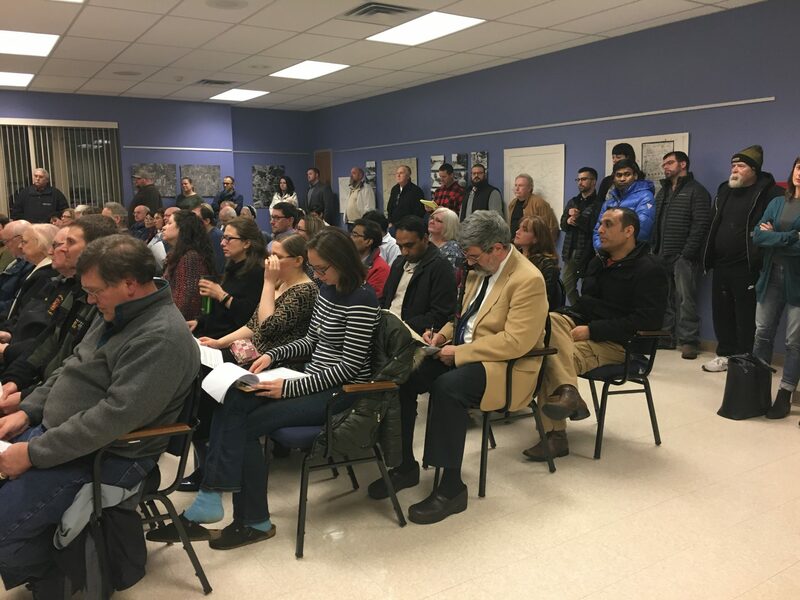 Residents pack a Franklin Park borough council meeting Wednesday night in anticipation of a vote on whether to allow natural gas drilling under a park. Numerous residents on both sides of the matter voiced their opinions in front of the council, including Monday at a hearing and again Wednesday. No council member made a comment before the vote. When the council rejected the lease late Wednesday night, the room erupted in applause from those who opposed drilling.